Most of the people who are searching for Online Jobs will have some common questions in their mind, and they want those questions to be answered. We have gone through all of the questions that were asked by our clients(visitors) and decided to put all those questions(with answers) at one place so that it can benefit our newer clients. On this page, You are going to find answers to all the common questions that relate to online money making. If you can’t find your question then you can contact us. The whole internet is made for money! Every page you visit, every video you watch, every game you play online, etc.. are made by someone to make money for themselves. 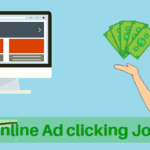 You may wonder how that is possible but it is true, once you start earning online then you will understand everything slowly. Even when you are on Facebook, Twitter, Instagram, etc… someone is earning money but you will not understand the strategy behind it. For example, I wrote this page to help others but do you know why I did this? it’s simple, I make money by doing this. By considering the above facts if you still think that making money online is a joke or not possible then I’m sure you will not make anything online. MoneyWika is a blog which is built on a purpose to help people who are searching for ways to make money online. We train people by providing them various methods and strategies to make money online. Is it really possible to make money online without investment? Yes, definitely possible! You just need to believe in yourself and follow the online money making methods that are mentioned on our blog. What is the age limit to earn money online? No, there is no age limit to earn money online. Homemakers, students, retired people, etc… everybody can earn from the internet. Do I need to have any qualifications to earn online? No! 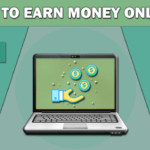 There is no need of any qualifications to earn online. You just need to have some basic computer knowledge and should be able to understand English. Honestly, there is no limit on the amount you can earn online. There are many people who make millions of dollars online but they are a lot experienced. But as a beginner, you can easily earn from $100(Rs 6000) – $1000(Rs 60,000) a month by following the methods that are mentioned on this blog. 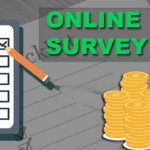 What are the requirements to earn money online? I am a beginner, which method do you recommend me? On this blog, I have written about 9 genuine ways to make money online and since you are a beginner I recommend you to go with any of the first 5 methods. You can also try many methods at a time. How will I receive the money that I made from the internet? The money you earn online cannot be transferred to your bank account directly so you need to join some online Payment processors to receive your money, and from these payment processors, you can transfer the money to your bank account. Payment Processors are like online banks. Is it safe to give my details to Online Payment processors? Yes, it is 100% safe because they are very trusted and there will not be any miss use of your documents. Can I earn enough money online so as to leave my current job? Yes! but before you leave your job make sure that you have a stable source of income online. To achieve this, you need at least 2+ years of experience. Don’t leave your job until you are sure that you can earn online forever. What kind of Online Jobs should I avoid? Online jobs like data entry, SMS sending, Ad posting, Copy paste, form filling, etc.. are mostly scam. Moreover, you will not gain any knowledge by earning from those kinds of jobs. How to identify a fake money making site? Just search on google about the site you want to know. For example, is “sitename” scam? After searching this if you find many bad reviews about a site then it means it is a scam or will not pay you even if you work. If you follow the methods that are mentioned on this blog then you will definitely succeed. But you need to work hard in the beginning because you have no experience. At one stage, even I was a beginner and with time and experience, now I am hugely successful: Read my online journey here.